Dell have had the Venue 11 Pro in their portfolio for a while. There are versions running on Core i3, i5 and Core M but it’s the Atom version that comes closest to the Surface 3. In early 2015 they updated the high-end version to use an Atom Z3795 CPU which is one of the highest performing processors of the Baytrail (2014-2015) generation. Not only does it clock up to 2.4 Ghz (compared to 1.8 Ghz for most of the Atom Z3000 range) but it is able to run 64-bit Windows which most of the other Z3000-series can’t. That opens up possibilities for easy booting of 64-bit Linux builds. Dell offer a 4GB RAM version with LTE but the range starts with a good value version with 2GB of RAM and a full HD screen. Dell also offer this with a free slim keyboard in some countries. In the USA, for example, this bundle is being offered for $499 which is $130 less than the entry-level Surface 3 with keyboard. There’s a 4GB version available in some locations. 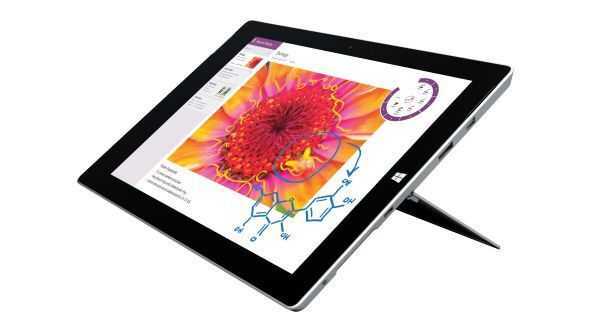 Bundle offers are also expected for the Surface 3 with Type Cover keyboard. No two tablets are ever the same though so check out the detailed list of differences below. 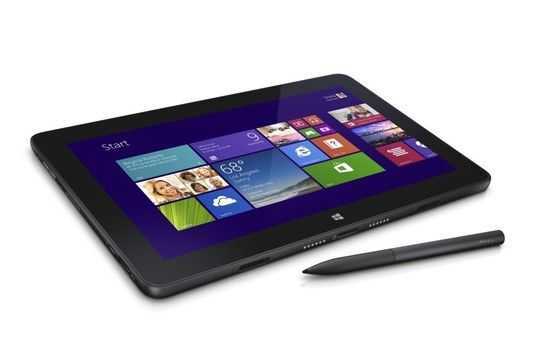 The main points are 1) The Surface 3 tablet is much lighter 2) The Atom X7 has improved graphics capability over the Z3795. For reference, the versions of the Dell Venue 11 Pro 5000 that we’re referring to have the following references that you might be able to search for. If you find offers or alternatives, feel free to comment below. Note: Some customers report problems with charging the Dell Venue 11 Pro. (A search for “dell venue 11 charging problem” will reveal many customer complaints.) It is not recommended to charge the Venue 11 Pro with anything other than the supplied charger. Removable battery. (32 Wh) Additional battery costs $80. Two keyboard options. One laptop-style with extra battery. More powerful graphics. Comparable CPU power. Includes Office 365 free for one year.